FRIDAY MUSIC WELCOMES THE LEGENDARY SINGER/SONGWRITER JIMMY WEBB!!! INCLUDES STELLAR RENDITIONS OF "GALVESTON" "WICHITA LINEMAN" "MacARTHUR PARK" & "WORST THAT COULD HAPPEN"
Jimmy Webb is a true phenomenon. His songwriting career burst onto the scene in the late sixties with smash hit after smash hit on artists like Glen Campbell, The 5th Dimension and decades later with top charting hits on Linda Ronstadt, Donna Summer and many others. His memorable songs cover all genres of pop, rock, r&b, country and jazz. Like Lennon & McCartney, Rogers & Hammerstein, Bacharach & David, Jimmy Webb's music will live on forever. In 1996, Jimmy Webb teamed up with producer Fred Mollin and they put together one of the most intriguing albums of Webb's career with "Ten Easy Pieces." The masterpieces within showcase a resume that is second to none with sensational readings of his best known classics like "Wichita Lineman" "Worst That Could Happen" "All I Know" "Didn't We" and the all time game changer "MacArthur Park." His music has been a force for over fifty years and with recent touring across the USA and overseas, the Jimmy Webb songbook continues to be an inspiration to millions. This past year, Jimmy Webb, his wife Laura, original producer Fred Mollin and Friday Music's Joe Reagoso teamed up to revisit his 1996 long out of print masterwork "Ten Easy Pieces." Always considered one of his most fan favorite albums, Jimmy and Fred cut a few early demo tracks when the CD was in the planning stages and have located four very important demo recordings of "Galveston" "Worst That Could Happen" plus two tracks not recorded for the original release with his stunning "Up, Up and Away" and the emotional reading of "I Was Too Busy Loving You." 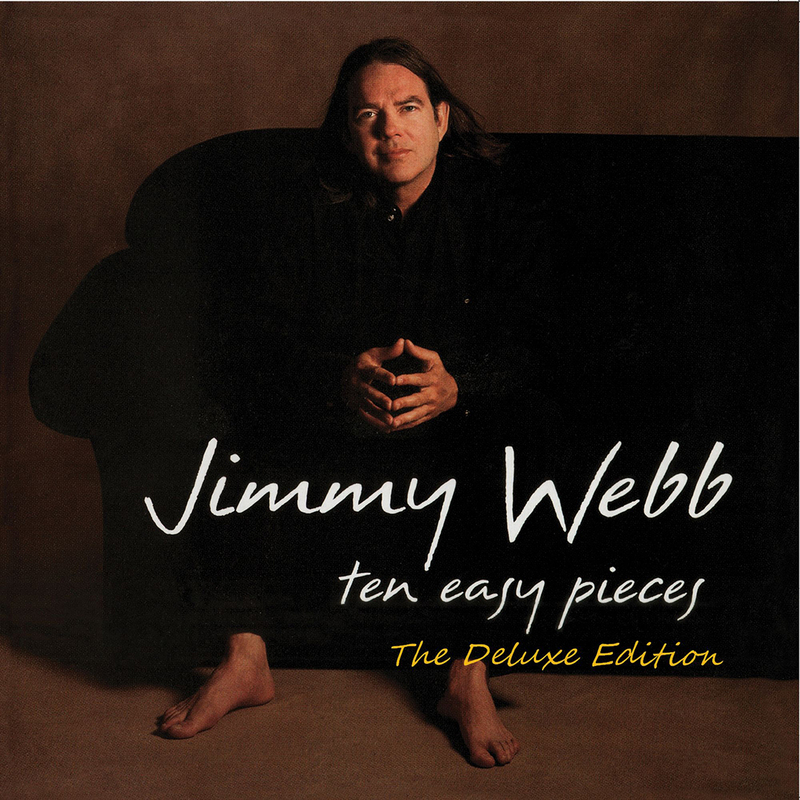 Friday Music is very pleased to announce the first time ever collection by Jimmy Webb "Ten Easy Pieces-The Deluxe Edition." The 14 track collection is augmented with brand new liner notes from Jimmy as well as new notes from Fred Mollin and Joe Reagoso, as well as all the lyrics and striking first time CD artwork, making this a wonderful revisit for any popular music fan.